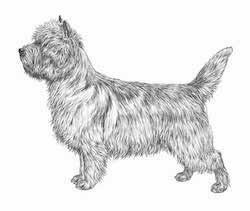 The AKC (United States) uses the breed standard approved by the Cairn Terrier Club of America. All other countries use the standard of the Fédération Cynologique Internationale. Height is measured from floor to withers. 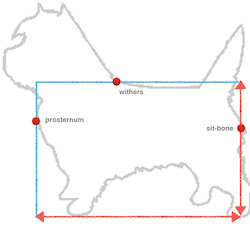 Length is measured from prosternum (forechest) to the Ischial tuberosity (sit-bone).